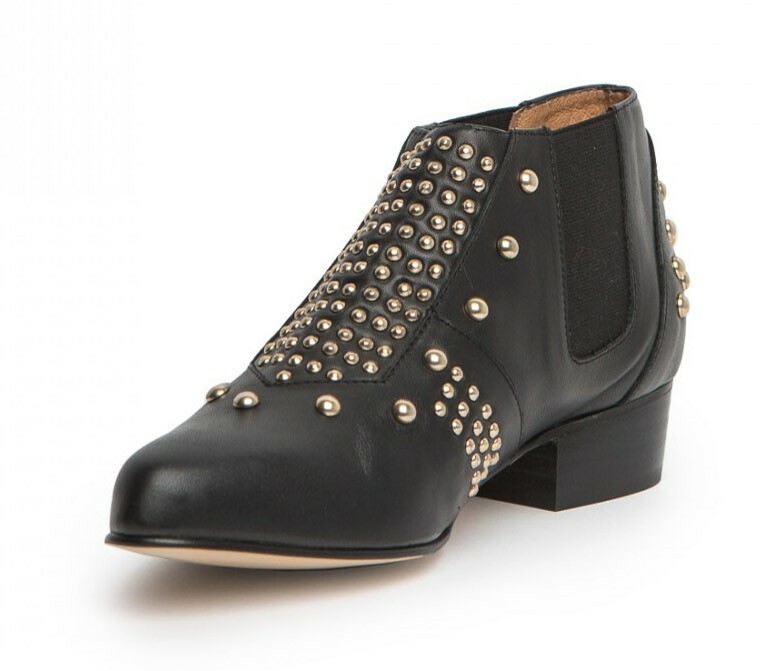 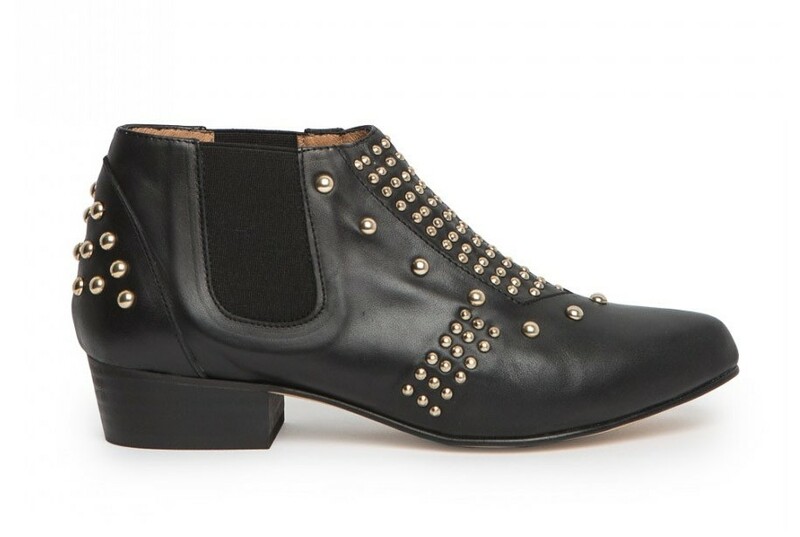 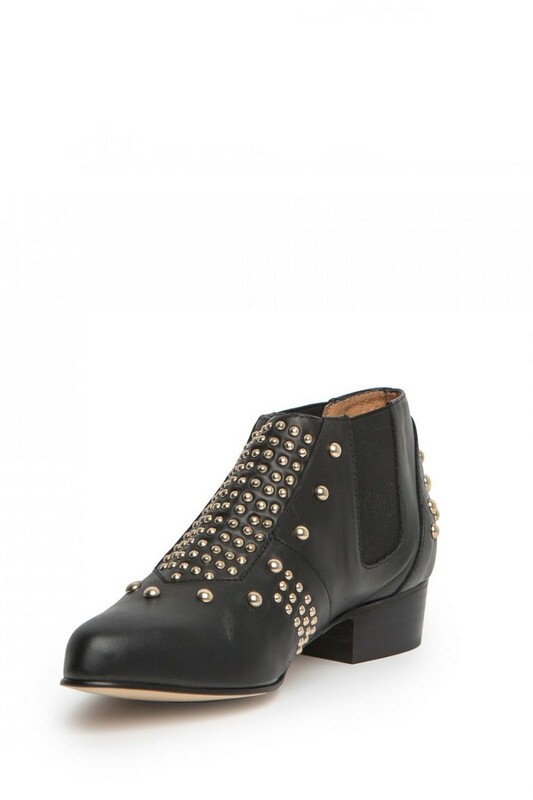 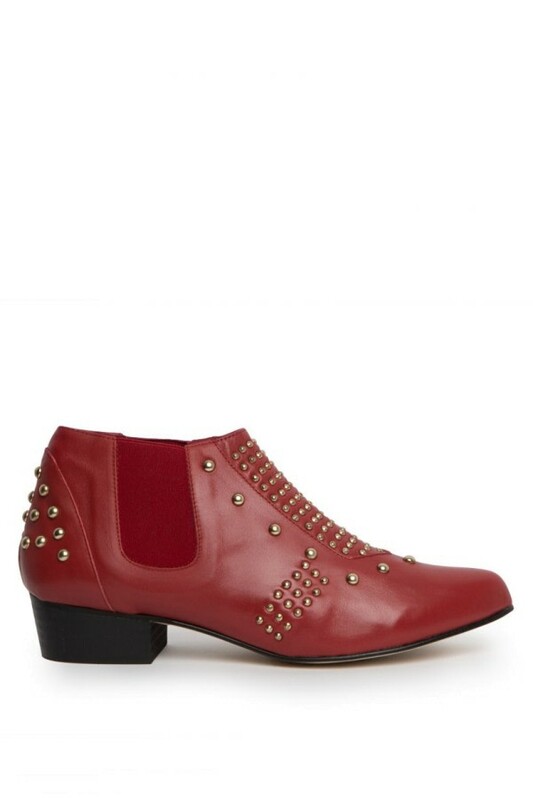 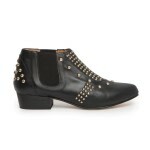 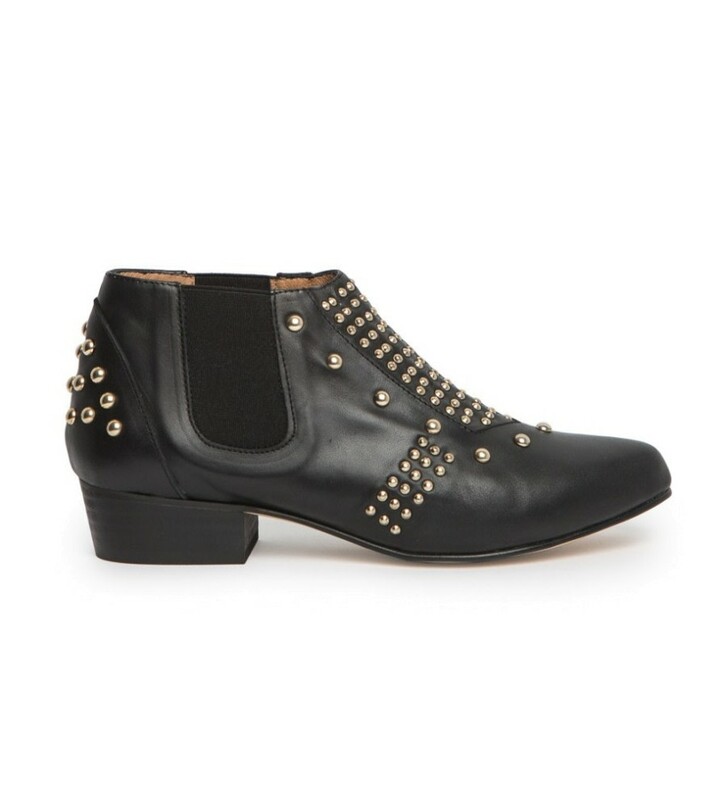 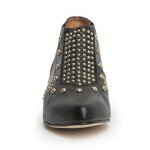 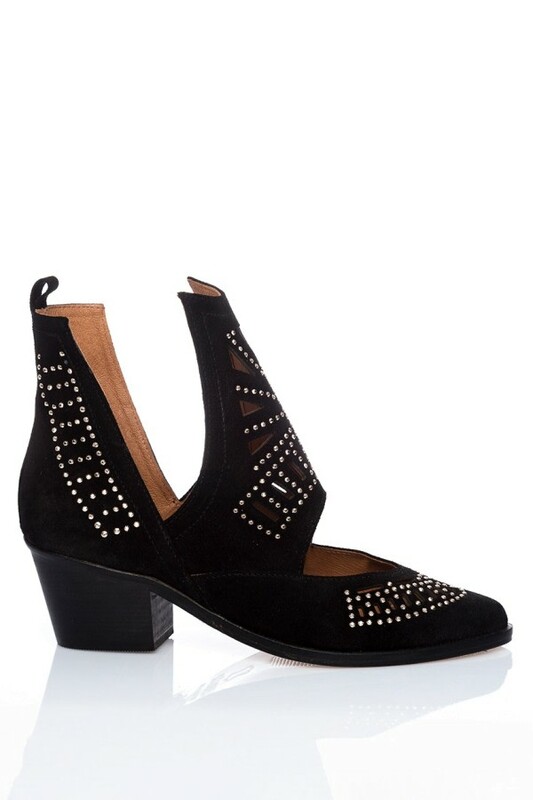 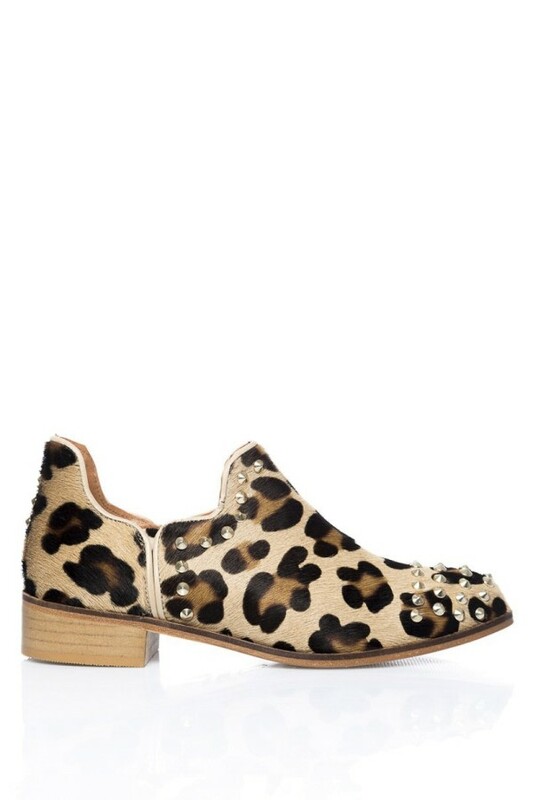 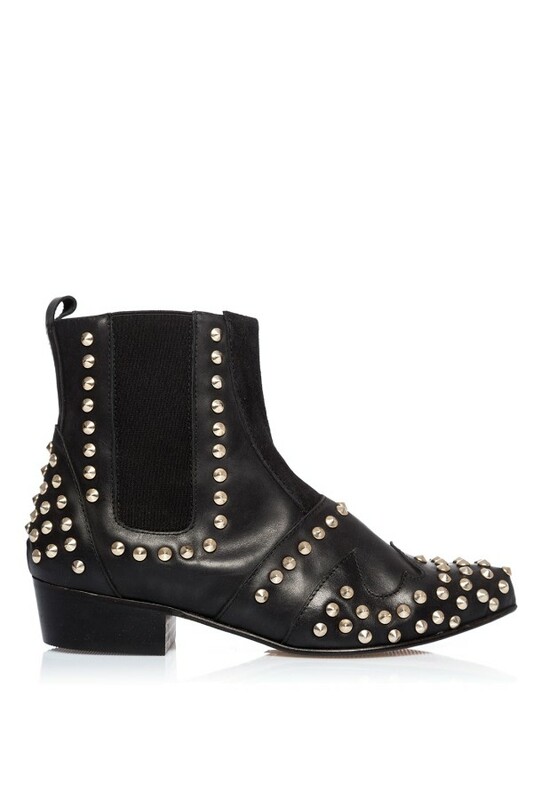 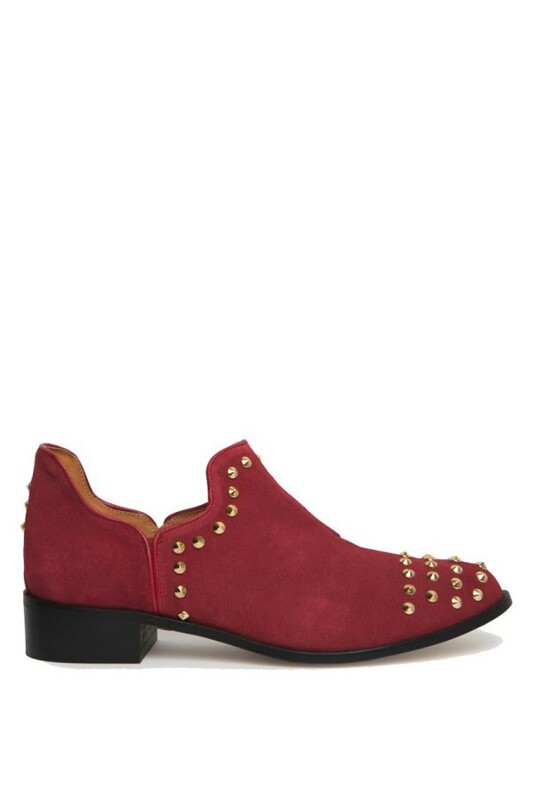 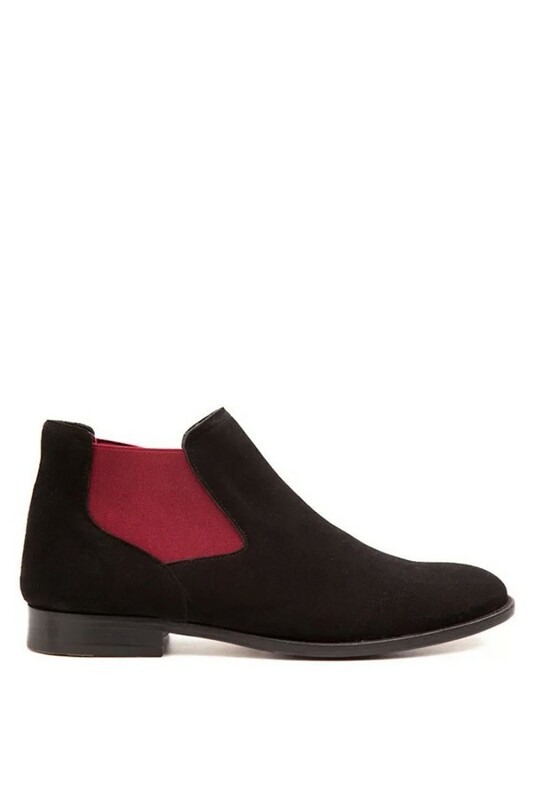 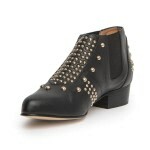 Studded flat ankle boots in black Nappa leather with elasticated side panels. 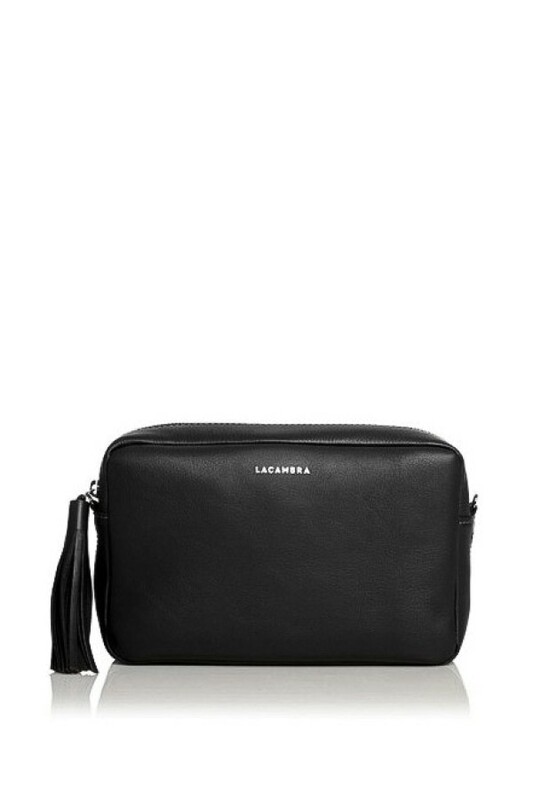 Leather interior. 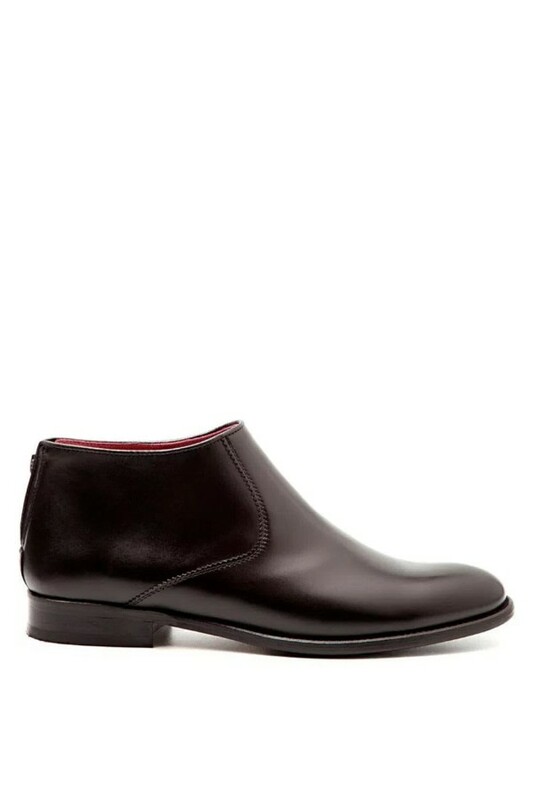 Heel: 3 cm. 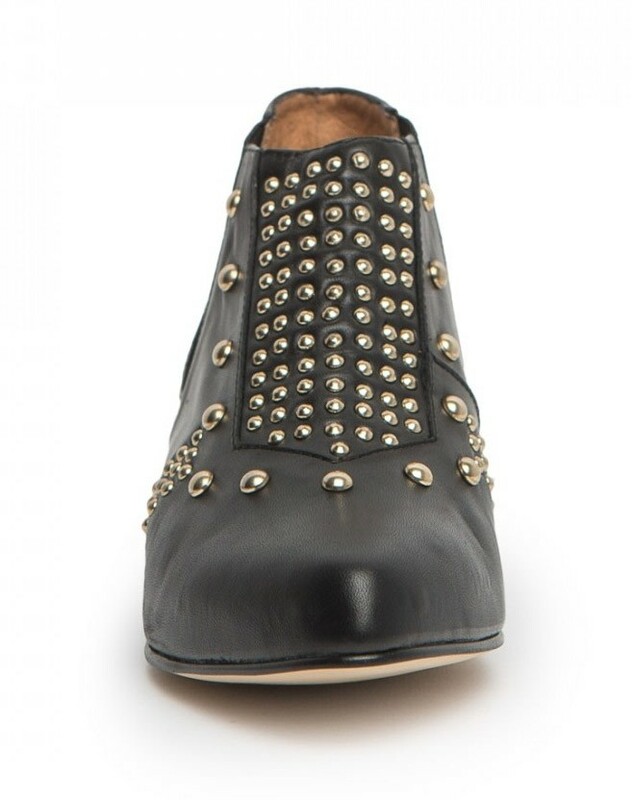 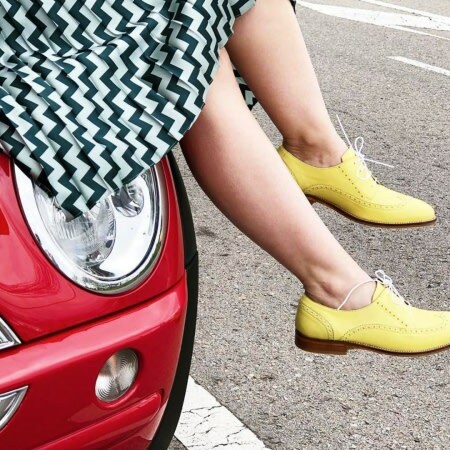 Handmade in Spain.